I’ve been practicing my knitting when I get a chance, and though I’ve discovered that I like knitting hats more than anything, I finally managed to make something other than a hat! 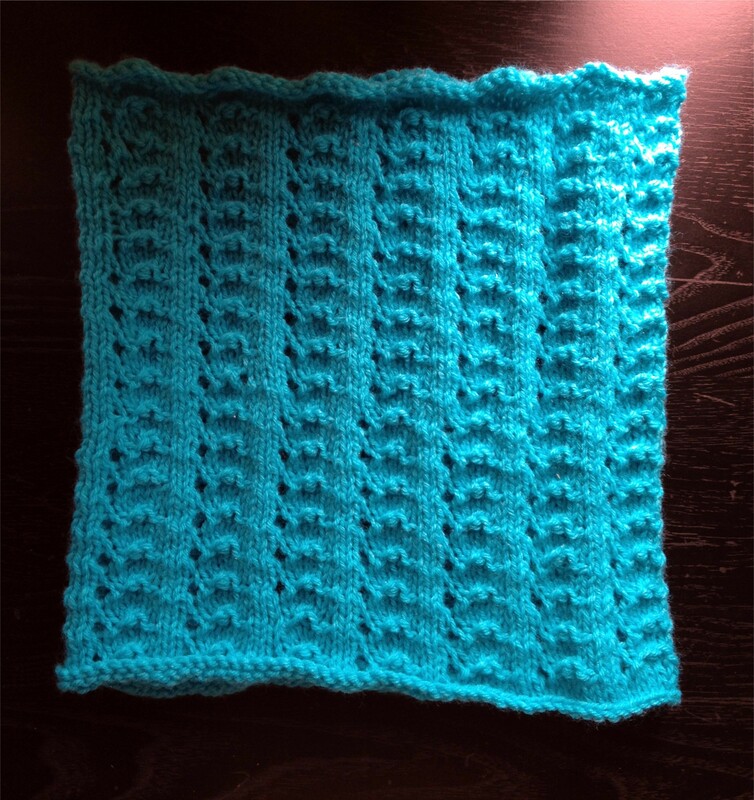 Here is my first completed non-hat project, and I thought I would share the pattern with my readers. 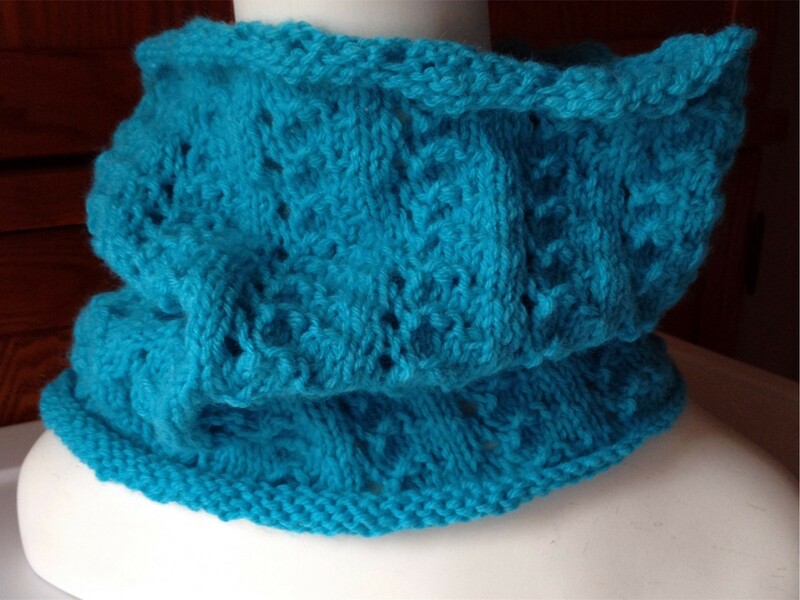 This Mini Lace Cowl is a great pattern for beginning knitters who would like to expand their skills just a bit. Row 1 (RS): Knit across. Rows 3: K2, *YO, P1, P3tog, P1, YO, K2; repeat from *across. Repeat rows 1-4 until piece measures 12” long. Bring side edges together with RS facing, and sew back seam. Weave in ends. 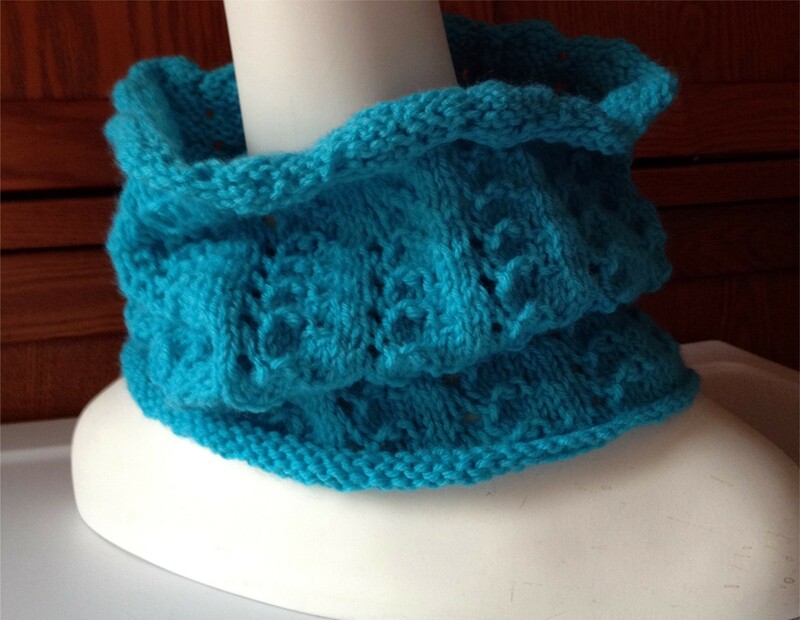 This entry was posted in Knit and tagged Free Cowl pattern, free knit cowl pattern, Free Knit Pattern, Knit Cowl.